This coming Saturday I am terminating the hosting service I have used for the last 8 years. It’s not because I was unhappy with this particular hosting company but because I took the next step to grow my web enterprise. A little while ago I shared with you how change can impact your business and this step is just another part of that change moving my online business forward. 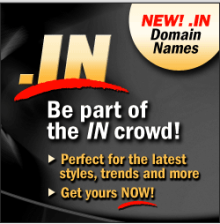 I now am a reseller of domain names and hosting packages through GoDaddy. The beauty of this is that it’s even the same support team GoDaddy offers its own direct clients. It means that I will now be cutting the costs of my hosting and domain purchases by earning commissions on every domain and hosting I sell. This allows me to set my own prices and I am even offering domains cheaper than GoDaddy is. It means that I have cut the costs of hosting my personal domains since a free deluxe hosting account is included with the reseller package. Sweet! It also means that I have had to move all 17 of my domains over to this new account. You can check out my new reseller account here. Well, some of you may have thought about doing the same but found the whole idea a bit scary. Let me assure you that it’s really not all that complicated. Grant you that one needs technical knowledge when it comes to moving websites from one hosting provider to another but it is very doable. And for those that are serious about residual income, I am offering my services to see you through this process with the least amount of headaches at half my hourly rate. Curious? Drop me a line. Ask me anything you want. This is one source of residual income I intend to grow. This is how you reduce expenses. This is how you grow your online enterprise. Want to do the same? Call me.